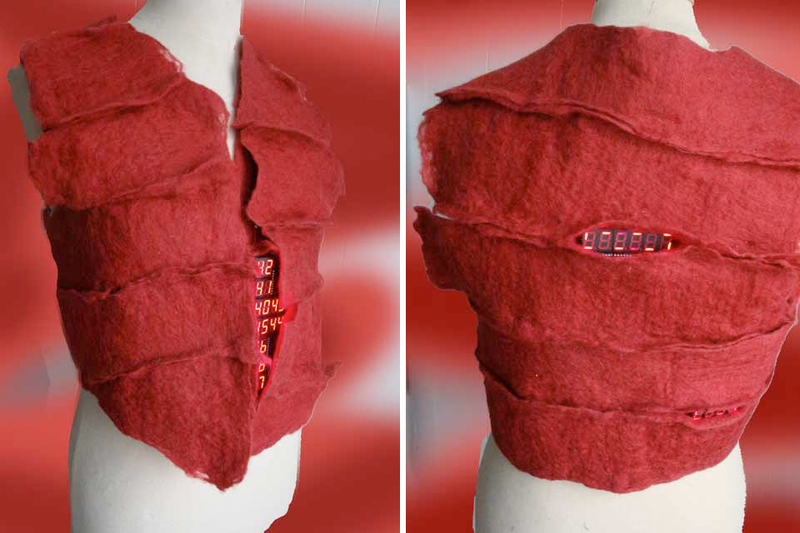 The philosophers vest by contrechoc, artist name of Bram van Waardenberg, poses the question of whether there is a part of us that cannot be digitalised. In a reaction to our digital society it stores our pin codes, security numbers, the time to pick up the kids from school, bits of text, patterns, flows of numbers, half sentences… Does adding up all possible digital data give a clear picture of who someone is? Will data ever be able to define a whole person? 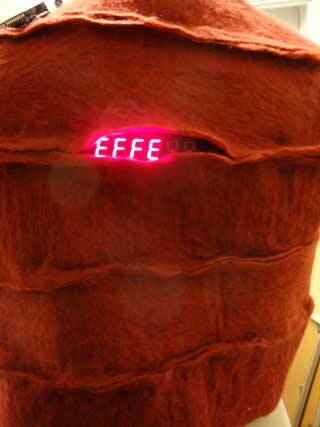 The vest is made out of two layers of red handmade felt, programmable chips and double digit displays. It reminds me somewhat of a meat garment, except this the textile flesh looks like it’s slowly being taken over by technology. 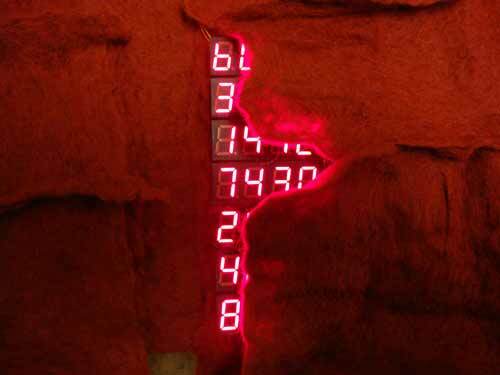 Is wearable technology turning us into cyborgs? Perhaps it is.